Don DeYoung is Chairman of the Department of Physical Science at Grace College, Winona Lake, Indiana. He has taught at Grace since 1972, with sabbatical leaves spent in San Diego and the South Pacific. Dr DeYoung is also on the faculty of the Institute for Creation Research, San Diego. Courses taught include physics, astronomy and mathematics. He speaks on creation topics and believes that the details of nature are a powerful testimony to the Creator’s care for mankind. Dr DeYoung and his wife Sally have three married daughters. 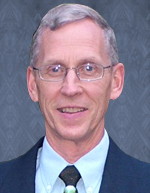 In their local church, Don is a Sunday school teacher, elder and member of the Warsaw Christian School Board. His writings have appeared in The Journal of Chemical Physics and The Creation Research Society Quarterly. He has also written eight books on Bible-science topics, including object lessons for children.